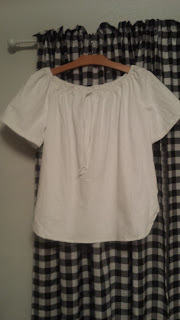 I started this blog to share my sewing hobby..I love sewing !!!! I also will share- family photos , tips for our daily lives..cleaning, cooking and fun times. I bought the aqua blue linen and the deep purple linen. previous post , about this. and garments will be decided later. This is my Feb. Garment of the Month Challenge. my new Singer Perfect Plus- Mix & Match book. This has nothing to do with building the basic wardrobe. Happy Sewing, and I hope you all are staying warm..
Nice fabrics. I never got very good at sewing, unfortunately. Thank you Ellie Rae... I really like to sew.. ALways have. Nice looking stash and I like the pant suit pattern. Thank you Dorothy.. I found the pattern on ebay.. I liked it too. Very nice fabrics you're planning for Judy! Can't wait to see your February garment done. Also the red sounds like it'll really top off the blue gingham skirt! It's a good idea to have a wardrobe of co-ordinated basics so that you always have something to wear . You've found all sorts of pretty fabrics. Thank you Sarah liz.. I am anxious to make the skirt., After seeing your cute skirt. The fabrics are beautiful. They remind me of springtime. Thank you.. I am so tired of the cold weather.Can't wait for spring. Hi Hana, Thank you.. I am ready for some spring sewing... Happy sewing my friend. Your pants and top look like they'll be comfortable and coordinated well for spring. I liked Sarah Liz's skirt too. The red will make a nice accent against the navy check. This is such a nice curated collection of fabric! I'm excited to see it transformed into clothes! So nice and springy! thank you Cathe... Can't you tell...I am SO ready for spring.. I am a retired Respiratory Therepist.. I miss my job at the hospital. I love the time I had with the patients and the many friends I met. But,I am now enjoying my extra time for my hobbies, sewing crafting, and frugal living. The Dreaded Chore of Ironing!!! I love to sew, fabric /pattern shop. Thrift store. yard sale finds thrill me, and I will share my finds and the things I make with you. Thankyou for visiting my blog, I read every comment and enjoy them. My blog name was chosen, because I feel so Blessed . My wonderful Saviour has blessed me and my family so much. I am not the best sewer in the world. But ,it is a wonderful hobby that I enjoy. 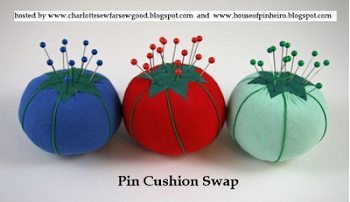 And love to share with my sewing blog friends.